If you are looking for the best dental colleges in Bangalore to go for your higher studies, your search ends here! There are 44 Dental Colleges in Karnataka including Deemed, Government & Private colleges approved by Dental Council of India (DCI). 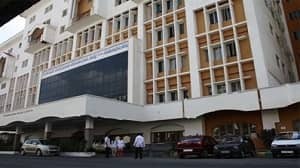 Among them, 37 dental Colleges are Under Rajiv Gandhi University of Health Science (RGUHS) and 7 dental colleges are Deemed UGC recognized Universities. 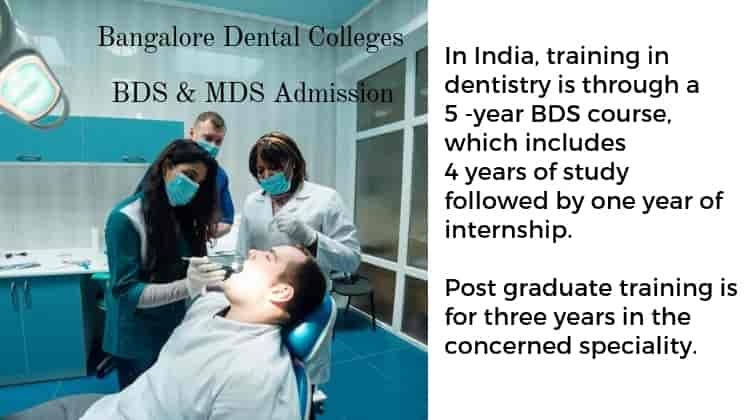 But only 38 Dental colleges in Karnataka are teaching MDS courses. Some of the most popular Dental colleges in Karnataka are located in Bangalore city where most of the students prefer to join. All Dental colleges in Bangalore are under the Rajiv Gandhi University of Health Science. I have compiled the list of top 15 dental colleges that can give wings to your dentistry career. 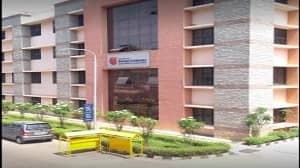 Government Dental College [GDC] is among the first few dental colleges in India and the first dental college in Karnataka. It was established in the year 1958 to provide a world-class education to dental students attached to Victoria Hospital located at K.R. Market, Bangalore. 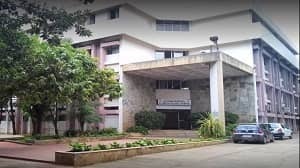 The college was granted autonomy by the Government of Karnataka in 2007 and renamed as Government Dental College and Research Institute [GDCRI]. Recognized by DCI, New Delhi and Affiliated by RGUHS, Karnataka. Oral Medicine: 3 Seats, Oral Pathology: 1 Seat, Public Health Dentistry: 3 Seats. BDS: Government Seats: 49850/- INR per annum. MDS: Government Seats: 39800/- INR per annum. Hostel Fee: 4000/- INR per annum. Faculty Of Dental Science formerly known as M.S. Ramaiah Dental College & Hospital was established in the year 1991. 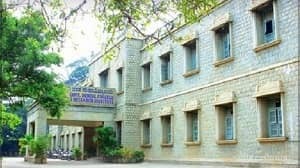 It was renamed as Faculty of Dental Science in the year 2013 after the foundation of MS Ramaiah University Of Applied Sciences (MSRUAS). Gokula Education Foundation trust sponsors this University established by Dr. M.S. Ramaiah. The Dental hospital attached to the college has 250 dental chairs & laboratories to provide clinical service with more than 75 faculty member and 400 students. 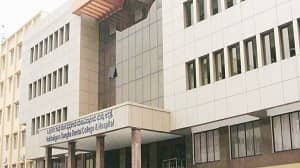 Students are trained at the attached college hospital as well as at adopted hospitals in rural and urban areas of Bengaluru. It has published the Journal of Orofacial & Dental research which is internationally reviewed. The hospital also provides special care clinics to oral cancer patients and geriatric care. 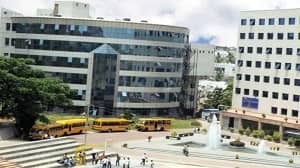 A Private Institution under MS Ramaiah University Of Applied Sciences. Recognized by DCI, New Delhi & Affiliated by RGUHS, Karnataka. Conservative Dentistry: 5 Seats, Prosthodontics: 5 Seats, Pedodontics: 6 Seats, Orthodontics: 5 Seats, Oral Surgery: 6 Seats, Periodontics: 5 Seats. Oral Medicine: 3 Seats, Oral Pathology: 3 Seat, Public Health Dentistry: 2 Seats. Private Seats: 520250/- INR per annum. Government Seats: 258750/- INR per annum. Private Clinical Seats: 9 to 10.3 Lakh per annum. Private Para Clinical Seats: 258750/- INR per annum. Hostel Fee: 100000/- INR per annum including Hostel & Mess charges. 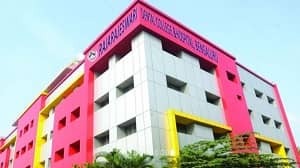 D. A. Pandu Memorial RV Dental College was established in the year 1992 by Sri. M. C. Shivanand Sarma. RV Dental college is managed by Rashtreeya Sikshana Samithi Trust under the guidance of Dr. M.K. Panduranga Setty. It is equipped with the latest equipment and spacious building to treat dental & oral diseases patients located at J.P Nagar Bengaluru. Accredited as “A” grade college by NAAC and a recognized partner of “CAMHADD” collaborative center. It also offers certification courses in Aesthetic Dentistry & Implantology. And, Ph.D. courses in Oral Medicine, Oral Surgery, Conservative Dentistry, Orthodontics, Periodontology, Public Health Dentistry, Prosthodontics, Pedodontics. It is the first dental college in Bangalore to own a Mobile Dental Van to run dental health program and expose students to work in rural areas. Also, published articles in national & international journals about completed research projects. It provides various facilities such as wi-fi enabled campus equipped with computers in all departments, library, hostel accommodation etc. A Private college under Rashtreeya Sikshana Samithi Trust. Conservative Dentistry: 5 Seats, Prosthodontics: 3 Seats, Orthodontics: 5 Seats, Oral Surgery: 2 Seats, Periodontics: 3 Seats, Pedodontics: 3 Seats. Oral Medicine: 3 Seats, Oral Pathology: 3 Seats, Public Health Dentistry: 2 Seats. Government Seats: 75480/- INR per annum. Private Seats: 475770/- INR per annum. NRI Seats: 849950/- INR per annum. Management Seats: 662450/- INR per annum. Private Seats: 404800/- INR per annum. Management Quota & NRI Seats: 10 to 14 Lakh per annum. Hostel Fee: 90000/- INR per annum for accommodation & Mess charge. The RajaRajeshwari Dental College and Hospital was established in the Year 1992 by Sri A.C. Shanmugam. The college campus is spread over 5 acres of land located at Ramohalli Cross, Kumbalgodu, Mysore Road. The hospital attached to the college has 9 specialties clinics with 350 electronic dental chairs to cater the need of 600 to 800 patients daily. 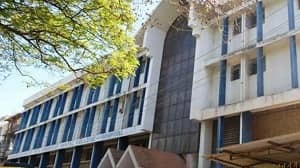 Equipped with facilities such as Indoor auditorium with a seating capacity of 4000, cafeteria, classrooms, digital library, gymnasium, hostel, transportation, sports & recreation facility. RRDCH is accredited as “A” grade college by National Assessment Accreditation Council. It is accredited by HLACT International & IAO (International Accreditation Organization). Royal College of Physicians & Surgeons of Glasgow, UK has selected RRDCH as a center in India for Part 1 & 2 MFDS Examination. It also offers Ph.D. courses in Prosthetics, Periodontology, Orthopedics & Dental Facial Orthopedics. A Private college under Moogambigai Charitable & Educational Trust. Conservative Dentistry: 6 Seats, Prosthodontics: 6 Seats, Orthodontics: 6 Seats, Oral Surgery: 6 Seats, Periodontics: 6 Seats, Pedodontics: 5 Seats. Private Seats: 412450/- INR per annum. NRI & Management Seats: 612450/- INR per annum. Management Quota & NRI Seats: 10 to 13 Lakh INR per annum. Hostel Fee:85000/- INR per annum for 2 & 3 sharing rooms including mess charges. 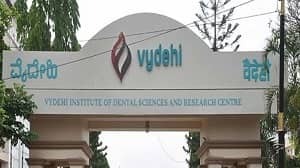 Vydehi Institute of Dental Sciences and Research Centre was established in the year 2001 by Late Sri D.K. Audikesavulu. It is spread over 65 acres of land along with Vydehi Medical College & Paramedical college located at Nallurahalli, Whitefield, Bangalore. Equipped with excellent faculty and state of art Infrastructure to provide ample opportunities to dental students. A central library with national & international journals & membership access to RGUHS health science library & information network. The college often conducts conference, programs, competitions & clinical meets to help students gain tremendous knowledge. It is also equipped with a separate hostel for boys & girls inside the campus, cafeteria, transportation & sports facilities. A Private college under Srinivasa Educational Trust. Conservative Dentistry: 2 Seats, Prosthodontics: 2 Seats, Orthodontics: 2 Seats, Oral Surgery: 3 Seats, Periodontics: 3 Seats, Pedodontics: 2 Seats. Oral Medicine: 2 Seats, Oral Pathology: 2 Seats, Public Health Dentistry: 3 Seats. NRI & Management Seats: 712450/- INR per annum. Management Quota & NRI Seats: 8 to 15 Lakh INR per annum. 140000/- INR per annum for 2 sharing & 175000/- INR per annum for 1 sharing hostel accommodation including mess charges. The Oxford Dental College is a premier dental college in Bangalore founded Sri S. Narasa Raju in 1994. Accredited as “A” grade college by NAAC. It is spread over 6.5 acres with a spacious 8 floors integrated complex located at Bommanahalli, Hosur Road, Bangalore. Equipped with advanced equipment for clinical & preclinical training such as Cad-Cam lab, High-end Kavo chairs, Computerized periodontal Probe, Specialized microscopes. More than 400 million rupees is invested in the infrastructure and equipment to treats more than 300 patients daily free of cost. A Private college under Children’s Education Society. Conservative Dentistry: 8 Seats, Prosthodontics: 8 Seats, Orthodontics: 8 Seats, Oral Surgery: 8 Seats, Periodontics: 8 Seats, Pedodontics: 5 Seats. Oral Medicine: 6 Seats, Public Health Dentistry: 8 Seats, Oral Pathology: 7 Seats. NRI & Management Seats: 762450/- INR per annum. Private Seats: 404800- INR per annum. Management & NRI Seats: 9 to 11 Lakh INR per annum. 36300/- INR Mess charges per annum. 94200/- INR for 1 sharing & 65000/- INR per annum for 2 sharing room at NRI hostel. 55800/- INR per annum for the general hostel with double sharing room. M. R. Ambedkar Dental College and Hospital was founded in 1986 under the Anand Social and Educational Trust. 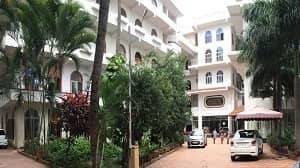 It is one of the most renowned dental colleges in India with excellent infrastructure and professional teaching faculties. The college library is equipped with reference books, journals, Cds on various subjects of dentistry and allied subjects. The dental hospital is located in the heart of the city at Cooke town, Bengaluru which attracts a large number of patients. The college also offers specialization certification course in Esthetic Dentistry & Implantology. A Private Institution under Anand Social & Educational Trust. Conservative Dentistry: 5 Seats, Prosthodontics: 6 Seats, Pedodontics: 3 Seats, Orthodontics: 6 Seats, Oral Surgery: 5 Seats, Periodontics: 6 Seats. NRI & Management Seats: 829950/- INR per annum. Management Quota & NRI Seats: 15 to 17 Lakh INR per annum. 5000/- INR per month including Hostel & Mess charges. 100000/- INR Refundable hostel Caution Deposit. The Vokkaligara Sangha Dental College and Hospital is also known as VS Dental College. It was established in 1986 with a batch of only fifty-two students. 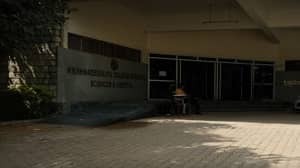 The institution was under Bangalore University at the time of its inception, and now it is affiliated to the Rajiv Gandhi University of Health Sciences, Bangalore. 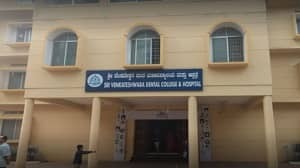 The Vokkaligara Sangha, Karnataka currently runs this institute. It is spread over 3 acres of land in the heart of the city located at K.R. Road, V.V Puram, Bengaluru. The college hospital & laboratories are well equipped with modern equipment with a good inflow of patients. It also provides specialization certification course in Esthetic Dentistry & Implantology. A Private Institution under Vokkaligara Sangha. Oral Medicine: 6 Seats, Oral Pathology: 5 Seat, Public Health Dentistry: 3 Seats. Management & NRI Seats: 9 to 15 Lakh INR per annum. 85000/- INR per annum including hostel & mess charges. Dayananda Sagar College of Dental Sciences was established by late Shri R. Dayananda Sagar in the Year 1991. The college is spread over 32 acres located at Shavige Malleshwara Hills, Kumaraswamy Layout, South Bengaluru. It provides various facilities such as a centralized library, recreation facilities, canteens, accommodation, amphitheater, auditorium, hospital. Equipped with the latest equipment, research facilities, tutorial facilities, preclinical & clinical skills labs to train students with the most recent and advance dental care. It also offers a one-year certification course in Esthetic dentistry & Implantology. Ph.D. courses in Oral & Maxillofacial Surgery, Orthodontics & Dental Orthopedics, Conservative Dentistry & Endodontics, Oral Surgery & Radiology. A Private college under Dayananda Sagar Group of Institutions. Conservative Dentistry: 6 Seats, Prosthodontics: 2 Seats, Orthodontics: 5 Seats, Oral Surgery: 2 Seats, Periodontics: 2 Seats. Oral Medicine: 4 Seats, Public Health Dentistry: 2 Seats. NRI & Management Seats: 662450/- INR per annum. Management & NRI Seats: 10 to 14 Lakh INR per annum. 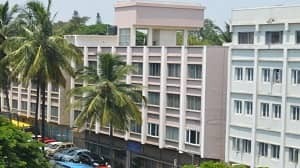 85000/- INR for 4 sharing rooms & 125000/- INR 2 sharing rooms per annum including mess charges. Krishnadevaraya College of Dental Sciences & Hospital was established in the year 1992 by Late Shri A.S. Kuppa Raju. 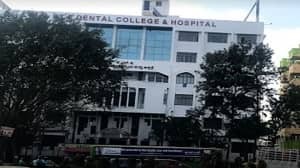 The dental college & hospital is spread over 113 acres located at Hunasamaranahalli, Near Yelahanka Air Force Station, 1 Km off the National Highway-7, Bengaluru. Its dental hospital is a three-storied building equipped with audio-visual lectures halls, auditorium, separate UG & PG departments, Spacious pre-clinical labs. 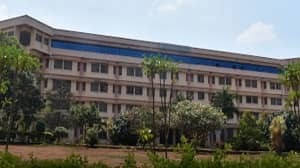 The college is attached to a 100-bedded government hospital in Yelahanka, 7 KM from the campus for the additional clinical training of the students. Equipped with various facilities such as a cafeteria, transportation, accommodation, sports, gymnasium etc. It also provides a one-year certification program in implantology. A Mobile dental clinic with two electronic dental chairs to provide dental care treatment to patients in rural areas & educated people about oral hygiene. The college department has centers in rural areas and undertaken a few schools for treatments and training for UG & PG students. A Private college under Sri Krishnadevaraya Educational Trust. Conservative Dentistry: 6 Seats, Prosthodontics: 5 Seats, Orthodontics: 5 Seats, Oral Surgery: 3 Seats, Periodontics: 6 Seats, Pedodontics: 3 Seats. Oral Medicine: 2 Seats, Oral Pathology: 5 Seats, Public Health Dentistry: 3 Seats. NRI Seats: 762450/- INR per annum. Management Seats: 612450/- INR per annum. Management & NRI Seats: 4 to 12 Lakh INR per annum. 43000/- INR per annum for accommodation & 20000/- INR per annum Mess charge. AECS Maaruti College of Dental Sciences and Research Centre was started in the year 1992. It is located at BTM 6th Phase, Bengaluru. The college was established by Smt. Geetha Devi & Shri. R. Venkatesh under the AECS trust. The institution combines the dental sciences from the Eastern and Western world to provide the best education. Equipped with a modern computerized library on dental topics, Cds of eminent doctors lectures, diagnosis reports, International journal on dentistry. Modern facilities laboratories with equipment such as IntraOral camera, Radio Visual Graph & Orthopantomograph for clinical, para-clinical and basic science training. Cool airy classrooms with audio-visual aids to conduct the lectures. Separate hostel for boys and girls inside the college campus. It provides dental health care treatment in an environment encouraging good diagnosis and therapeutic practices. A Private Institution under AECS Trust. Conservative Dentistry: 4 Seats, Prosthodontics: 6 Seats, Pedodontics: 6 Seats, Orthodontics: 6 Seats, Periodontics: 6 Seats. Management & NRI Seats: 9 to 10 Lakh INR per annum. 16000/- INR per month including Hostel & Mess charges. 35000/- INR non-refundable hostel maintenance fee. Sri Rajiv Gandhi College of Dental Sciences and Hospital was established in 1991. Accredited as “B+” grade college by NAAC. It is located at the center of the city at R.T. Nagar, Bengaluru. Students from all over the country & abroad are pursuing dental science courses in this prestigious institution. The Rajiv Gandhi dental hospital consists of all dental super specialty departments with a capacity of 300 chairs and modern equipment. It provides treatment to all types of dental related problems at a minimum cost. Equipped with sports & transportation facility, research center, a central library, national & international journals on dental topics, computer labs, wifi-enabled campus & hostel accommodation. A Private college under Sir M. Visvesvaraya Education Trust. Conservative Dentistry: 3 Seats, Prosthodontics: 3 Seats, Orthodontics: 3 Seats, Oral Surgery: 3 Seats, Periodontics: 3 Seats, Pedodontics: 3 Seats. Oral Medicine: 3 Seats, Oral Pathology: 3 Seats. Private Seats: 407450/- INR per annum. Management & NRI Seats: 7 to 8.5 Lakh INR per annum. 100000/- INR per annum including accommodation & mess charges. KLE Society’s Institute Of Dental Sciences was established in 1992 by Dr. Prabhakar B. Kore. The dental college is located in Yeshwanthpur which is predominately industrial area. It caters the dental needs of more than 2 lakh people living in nearby areas. Accredited as “B” grade college by National Assessment & Accreditation Council (NAAC). Separate department for all dental specialties equipped with experienced faculty members which provide comprehensive dental care services. The college is attached to KC Government General Hospital in Malleshwaram, Bangalore to provide rotational training to the students. A Private college under Karnataka Lingayat Education Society. Recognized by DCI, New Delhi & Affiliated by RGUHS, Karnataka. Conservative Dentistry: 2 Seats, Prosthodontics: 5 Seats, Orthodontics: 5 Seats, Oral Surgery: 3 Seats, Periodontics: 2 Seats, Pedodontics: 2 Seats. Oral Medicine: 2 Seats, Public Health Dentistry: 3 Seats. NRI Seats: 662450/- INR per annum. Management Seats: 512450/- INR per annum. Management & NRI Seats: Rs 8 to 12 Lakh per annum. 54000/- INR per annum for hostel accommodation & mess charge. Bangalore Institute of Dental Sciences and Hospital was established in the year 1991 by Mr. Katuri Subba Rao. BIDS is spread over 5 Acer of land located at Hosur Main Road, Lakkasandra, Bengaluru. Apart from BDS & MDS programs the college also provides Ph.D. and Certification degree courses. BIDS research committee also promotes the research and publications done by students & faculty. The college has separate departments for all dental specialties with experienced faculty members. A Health science library with a seating capacity of 210 students equipped with 3000 books, subscription to 130 national & international journals on Health Science. A Private college under Vignan Educational Foundation. NRI & Management Seats: 475770/- INR per annum. Management Quota & NRI Seats: Rs 8 to 10 Lakh per annum. 60000/- INR per annum for hostel accommodation & 45000/- INR per annum Mess charge. Sri Venkateshwara Dental College & Hospital was established in 1992 by the Nehru Smaraka Vidya Kendra. In the Year 2000, SVDC was taken over by Academy of Liberal Education, Sulia. Venkateshwara dental college is spread over 12 acres of land located at Bannerghatta Road, Bengaluru. Apart from SVDC, The Academy of Liberal Education (AOLE), also runs the KVG Dental & Medical Colleges. Equipped with excellent teaching faculty, peaceful atmosphere, good library facility, sports facilities, digital classrooms, auditorium, accommodation, mobile dental clinic, and transportation facilities. It also organizes various national & international conferences which give the students opportunities to interact with the best dental doctors. Provides regular free dental screening camp in schools, industries, old-age homes, hospitals located in rural areas of Bangalore to train the dental students. A Private college under Academy of liberal Education Society. Recognized by DCI, New Delhi & Affiliated by RGUHS, Karnataka. NRI & Management Seats: 512450/- INR per annum. Hostel Fees: 60000/- INR for accommodation and mess charges. Click the link below to know more about other dental colleges in Karnataka. 1) Bachelor of Dental Surgery in India. 2) Master of Dental Surgery courses. You must have to qualify the NEET UG or NEET MDS Entrance exams are to take admission in Dental College of India. Karnataka domicle students can apply for Government & Management quota seats in Dental of Bangalore. Non-Karnataka domicle students can apply for Private & Management quota seats. NRI/OCI/PIO/Foreign students can apply for dental courses in Karnataka under NRI quota seats. It is must for you to score more than cut-off marks in NEET UG or NEET PG MDS exams to study dental courses. Karnataka NEET UG & PG counseling for seat allotments will be conducted by Karnataka Exams Authority [KEA]. You must apply through KEA website for seat allotments as per the rank secured in entrance exams. You can also contact us for MDS & BDS admission under management & NRI quota seats. You can get direct admission on vacant seats due to high tuition fee for NRI, Management seats. Vacant seats are reverted back to college by KEA after conducting online & offline counseling. After Karnataka counseling is over, You can join on such vacant seat if You have participated in counseling but haven’t joined any college. This is the best time for You to get Direct admission in BDS or MDS at a negotiable price. If you want to direct admission in dentistry courses, contact us to know more. Comment below and let us know, which dental college You want to join? I am an OCI and i want to join any of the given below colleges for dental. Ok, please visit us for seat bookings. I wanted to know with the rank of 5751 if I can get a periodontics seat in Karnataka? There are only 1000 MDS Dental Seats in Karnataka, In this score, only Management quota seats can help You, let us know for admission assistance. My Neet MDS Rank is 3345. Can I get oral surgery in a private category?